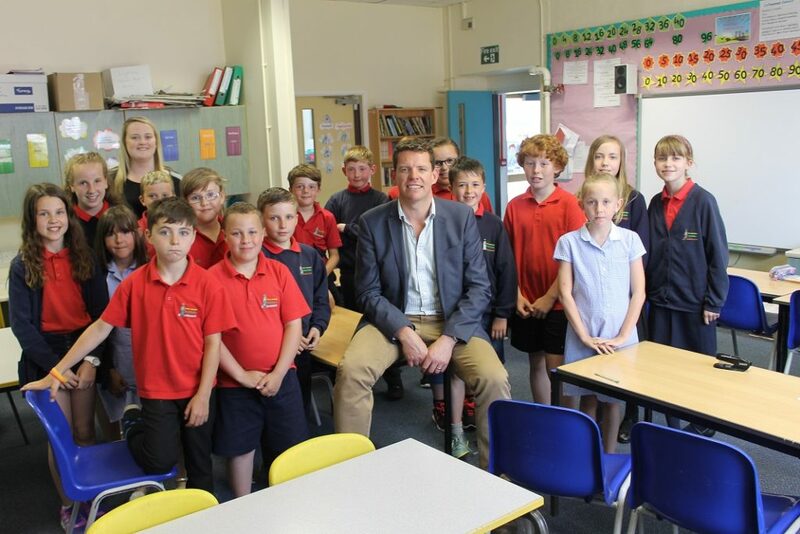 Rhun ap Iorwerth AM has joined forces with the pupils of Ysgol Rhosybol to see what can be done to increase safety on their walk to school. “It was great to meet with year 5 and 6 pupils at Ysgol Rhosybol after the school council had written to me about walking to school safely. They had hoped to be able to get a zebra crossing near the school but we’ve been told that that is not an option. “But the children were not about to give up, so I visited the school and we discussed what other options could be available. We have now decided to write together to the Council to see if it could be possible to have a 20mph flashing signal during the times of the day when the children walk to school, or if there are any other safety measures they can consider.